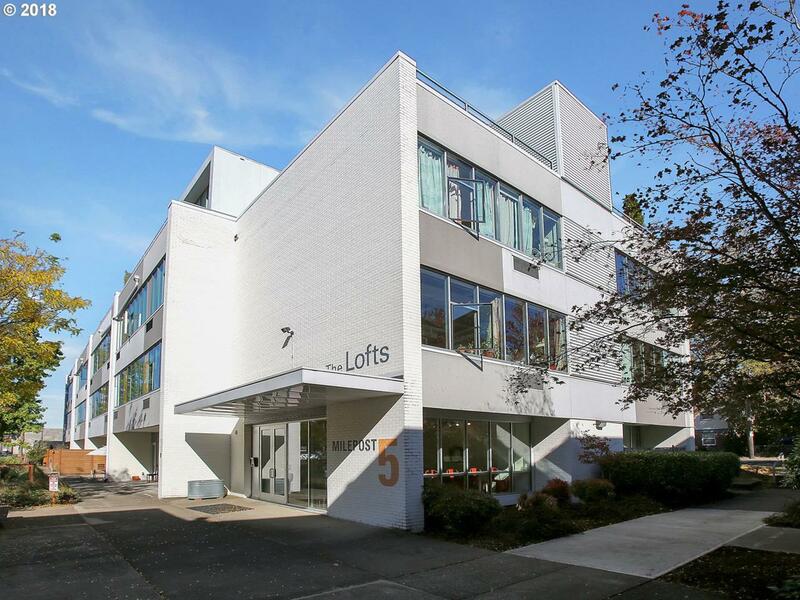 Live/Work Loft At Milepost 5! Highly Sought-After 3rd Floor Corner Unit with just one shared wall! Bank of South-facing windows provide plentiful light. Seasonal view of Montavilla Park. Open floor plan & high ceilings. Deeded storage space #45. Rooftop deck on 4th floor. Parking spaces & garden plots typically available for lease. Artist's theatre, gallery, workspace on Milepost 5 campus. Close to park, eateries, public transportation.